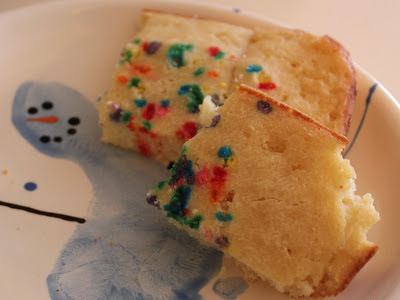 When I first got married and was beginning to really cook for my husband and myself, I was at a complete loss for ideas aside from the ones that my mom had put together in a recipe box for me as part of my shower gift. I was shopping for produce one day around that time when I noticed a display of free recipe cards. I grabbed one of each and tried them all. Some of those recipes are still in my regular rotation, like this one. The salmon is simple to prepare; it is the dill sauce that really makes this recipe a stand out. It does make quite a bit of sauce, so I often halve the sauce recipe. The parsley is not in the picture...sorry! Coat the salmon fillets lightly with oil and season with salt and pepper. Grill over a white charcoal fire or under a broiler, turning once, until the salmon is just cooked through - about 8-10 minutes. In a medium bowl, combine mayo and sour cream, dill, parsley, scallion, lemon juice, salt and pepper. Serve on the side of the salmon. Source: This recipe was from a recipe card that I got at a local grocery store many years ago. This is the last week before spring track starts. Preparing this meal plan is my attempt at getting myself ready for the additional two evenings my husband will be out of the house. Spring track means so many great things-longer days, more sun, warmer temperatures, the end of the school year...but the beginning is always hard. I read a great quote by the author Sophie Kinsella, "Sometimes you don't need a goal in life. You don't need to know the big picture. You just need to know what you're going to do next." This meal plan is me trying to keep it together by making simple plans. This great slow cooker meal will be a great way to start the week. We'll be enjoying our dinner with fresh bread bowls. I picked up a Kraft Philadelphia Cooking Creme a few weeks ago; it disappeared in the fridge. I rediscovered in yesterday; it needs to be used this week. It works great with this one dish recipe. Wednesdays are the busiest days in our home with tutoring and two dance classes added to the mix. I'll top a few baked potatoes with the leftover stew for a quick meal. Beef roasts were on sale last week. This is another easy crock pot meal; I'll prep it Wednesday night. When I prep the night before, I add about 30 minutes to the cook time to compensate for the cold crock. I bought salmon weeks ago when Costco featured a coupon; its been in the freezer ever since. I am looking forward to trying Joyce's tried and true salmon recipe (look for it later this week). I hate spending the weekend mornings cooking, but love eating with the whole family to start the day. I'll get this ready at night and bake it in the morning. I may throw some green food coloring in to celebrate Dr. Seuss' birthday as well. We'll be having dinner with my family so I will need to bring a dessert, the apple crisp. I have a party to attend; I hate to show up empty handed so the dip modified to go in a small crock pot with some mini Club crackers will be great! I first made this yummy, meatless dish last September...I picked the basil from my garden and we ate on the deck. We loved it; the quick prep and the fresh and simple ingredients made for a perfect late summer dish that was light and yet filling. Since that fall evening, I have made it numerous times - pretty much every time that asparagus has gone on sale at our local grocery store. It has been a hit every time! Boil water for pasta; cook according to package directions. Heat large nonstick skillet over medium-high heat. Add oil to pan; swirl to coat. Add asparagus; saute for 3 1/2 minutes. Add garlic; saute for 1 minute. Add tomatoes; cook for 6 minutes or until tomatoes are tender. Drain pasta and toss immediately with egg mixture. Add tomato mixture, tossing until sauce thickens. Top served pasta with basil. I don't know how I survived before I started using my slow cooker! Honestly, I only used the thing to make Buffalo Chicken Dip prior to having children. I couldn't believe our luck when Joyce emailed me about the opportunity to review and giveaway Gooseberry Patch's Slow Cooking All Year Round! She hurriedly sent the book with my husband whose car I had to ransack to find it. Given our days of freezing weather, I spent most of my time in the section titled "Warming Winter Dishes." This lasagna was my family's favorite out of the recipes I tried. My husband asked me to add it to the rotation. I loved the variety of dishes in the cookbook; I'm looking forward to making the holiday dishes including a St. Patrick's Day Corned Beef Dinner and Slow-Cooker Irish Stew found in the "Simply Springtime" section. My favorite part of browsing the cookbook is reading all the tips found at the bottom of each page. I never would have thought to cut up fresh peppers (read: ready to spoil) and freeze them in an ice cube tray to be thrown into crock pot dishes to add flavor. That tip was perfect for this frugal mom of three! There are many easy craft and centerpiece ideas as well; my kids will be making lucky green popcorn balls for our St. Patrick's Day play date. 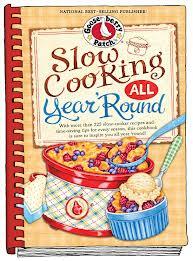 Make sure you enter to win a copy of Slow Cooking All Year 'Round at the bottom of this page! In a skillet over medium heat, brown beef; drain and remove from heat. Stir in sauce, water, and seasonings. In a bowl, combine Parmesan cheese and cottage cheese; set aside. In a large greased slow cooker, spread some beef mixture; top with noodles (breaking them to fit if necessary); top with beef mixture, then cottage cheese mixture, and finally some of the shredded cheeses. Repeat layers 2 to 3 more times; ending with the shredded cheese. Cover and cook on low 3 1/2 to 4 hours or until noodles are tender. We are sorry, but the giveaway for this post is over. Congrats to our winner! I have mentioned this before - my slow cooker is a life saver. When it comes to juggling schedules and still having a home cooked meal on the table, there really isn't an easier way than to take advantage of this versatile appliance. I am always interested in trying new slow cooker recipes, so I was thrilled when Kelly and I got the opportunity to check out Gooseberry Patch's latest cookbook, Slow Cooking All Year 'Round. I am even more thrilled that we have a copy to give away, as well! It took me no time at all to find a recipe that I wanted to try. In fact, I only got to page 18 before this simple and delicious Beef Stroganoff recipe jumped out at me from the "Warming Winter Dishes" chapter. I love that the book is arranged by season, and I am really looking forward to delving into the "Slow & Easy Summer" chapter when I will make some seasonal veggie-laden meals like the Zucchini Parmesan on page 132. There are great looking desserts (Peach Cobbler, anyone?) and even a slow cooker adaptation of our favorite cheesy potatoes! Filled with a variety of soups, appetizers, main dishes, and desserts, there really is something for everyone (and every occasion!) in this book. Make sure you enter to win a copy of Slow Cooking All Year 'Round by logging into the Rafflecopter giveaway at the bottom of this page! Place beef in slow cooker. In a bowl, combine sour cream, soup and soup mix; spoon over beef. Cover and cook on low setting for 4 hours. About 15 minutes before serving, cook noodles according to package directions; drain and stir into beef mixture. Warm through. As I was getting ready to prep the French Toast Casserole for our play date brunch, my daughter asked for pancakes. Usually, I don't switch my menu (especially when I have my ingredients out and ready), but my six-year old has been having some issues with separation anxiety so I thought making her pancakes might go a long way. I wanted to make her happy, but I did not want to flip pancakes for 5 kids; then, help them make sock snowmen. I found this idea on Pinterest. It seemed almost too good to be true. I prepped mine the night before and baked it in the morning; my cook time was a bit longer since my batter was refrigerated. We threw some sprinkles on since it was Groundhog Day. This recipe yielded enough to feed 5 young kids; next time, I'll double it for my husband. Our snowman wanted to join the photo..
Preheat oven to 350 degrees Fahrenheit. Grease a 8 x 8 casserole dish. Beat milk, butter, and egg. Add sugar. Gradually mix in the flour. Add baking powder and salt; stir with a wire whisk until well combined. Bake 20-25 minutes until edges are beginning to brown. Difficulty: Easier than standing and flipping pancakes!